Industry insiders are claiming that Intel will be outsourcing some CPU and chipset production to TSMC. 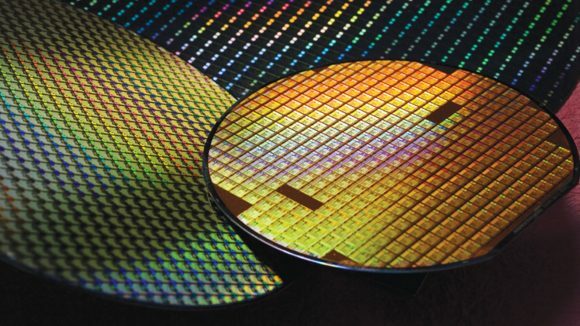 The foundry giant, currently leading the charge on the 7nm process node, would reportedly be easing the demand on Intel’s overloaded fabs. This would involve taking over production of Intel’s entry-level Atom processors and some undisclosed chipsets. The Intel CFO and interim CEO, Bob Swan, later published an open letter outlining an extra $1 billion worth of capital expenditure for 2018. This was specifically aimed at bolstering manufacturing sites in Oregon, Arizona, Ireland, and Israel, which Swan indicates is in response to higher than expected demand. Outside of Intel, the supply constraints have been almost universally been contributed to Intel’s problems developing the 10nm process node. But none of those measures have been enough to entirely dispel rumours that Intel will be outsourcing some production to TSMC. Industry sources speaking with DigiTimes claim Intel is still pursuing outsourcing manufacturing capacity for entry-level chips to the semiconductor giant. TSMC, or the Taiwan Semiconductor Manufacturing Company, are a manufacturing behemoth with a client list that includes AMD, Nvidia, Apple, and Qualcomm. The latest report implies the two companies have been in talks since mid-2018, which lines up somewhat with rumours previously dispelled by Intel. Back when Intel waved off TSMC outsourcing rumours earlier in the year, an Intel representative informed us that it wasn’t unusual for Intel to outsource some products, claiming the use of foundry was “business as usual”. The foundry would reportedly take over production of Intel’s entry-level Atom processors, along with some chipsets. This would leave Intel free to focus on the valuable high-performance segments of its business, including Xeon and Core processors, and would ease supply constraints by Q1 2019. Earlier in the year Intel was rumoured to have temporarily put a hold on production of its H310 chipset. This entry-level chipset was launched in April as a part of Intel’s second wave of Coffee Lake processors and motherboards, but was reportedly shelved not long after to make way for more pressing, and valuable, products. Production was expected to resume in July, with a 22nm H310C chipset also on the agenda to relieve some strain on Intel’s fabs. Most recently, B360 motherboards were said to be on the cutting room floor after production was cut by more than 30% in October. Fourth quarter supply is expected to be tight as a result, with boards potentially selling out by the end of the year. Intel recently posted its Q3 financials for 2018, indicating a record $19bn in revenue for the quarter. Evidently the shortage has had little effect on the company’s performance, at least during Q3, with Intel citing both client and data centre performance as the driving force behind its success.